Home / Uncategorized / 2018 Cattlemen Days Rodeo! The Cattlemen Days Rodeo returns to Ashland! The Cedar Valley Riders and the Ashland Optimists are back with the PRCA rodeo in Ashland! Join Clear 99 at one of the finest facilities in the area, August 24th & August 25th, to witness America’s true sport! 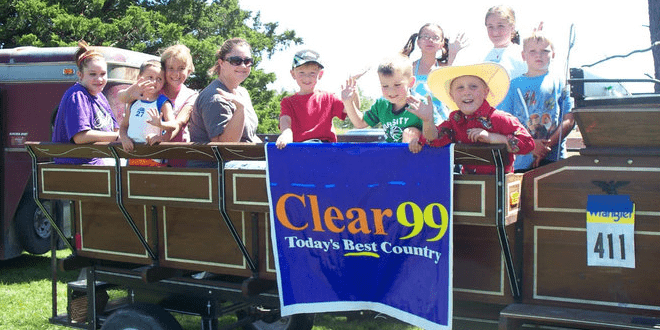 Look for Scotty & Catryna in the rodeo parade on Saturday, August 25th! Concessions will be available during the Cattlemen Days Rodeo as well as a beer tent for the adults. Tickets are $13 at the gate and $11 in advance. CASH ONLY. Children aged 6-11 are $5 and kids 5 and under are free!